I haven't mentioned this yet, but I just recently started a new job! 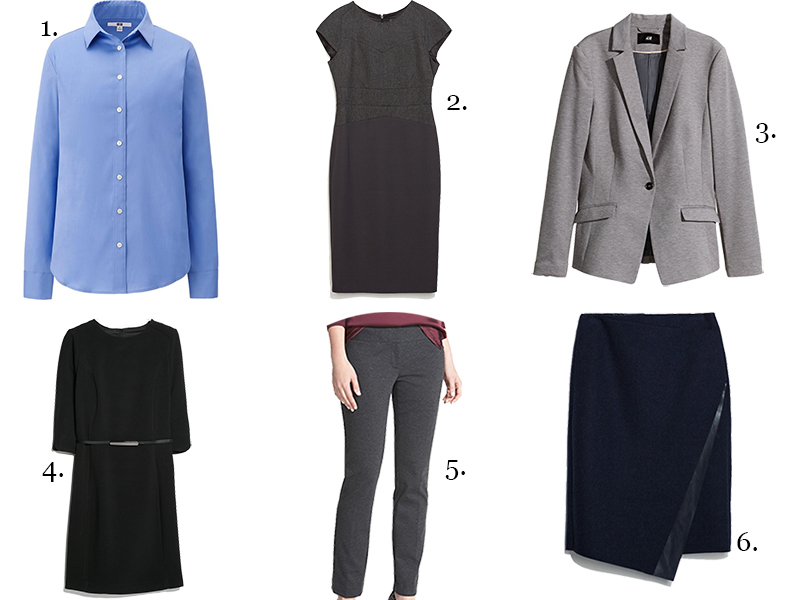 With all the excitement also comes with the thought - "I need a new work wardrobe!" 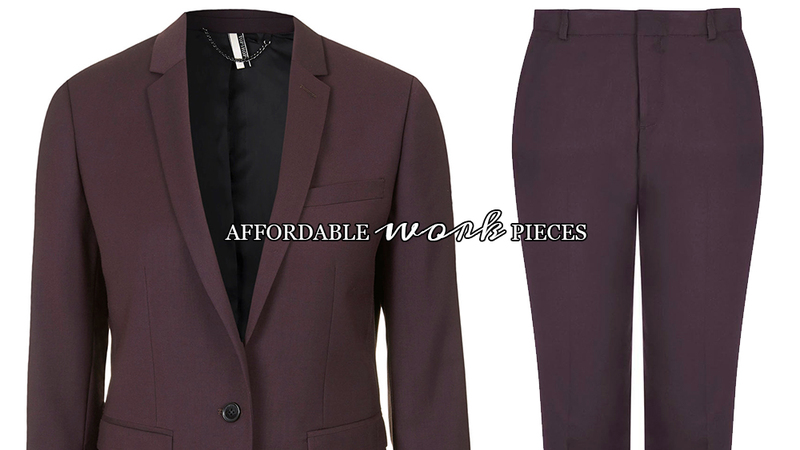 I wish I could just buy an entire work wardrobe in one shopping trip, but the reality is that a work wardrobe is expensive (a nice suit will set you back at least $300), and it takes time to build. In terms of still keeping my style identity when wearing conservative clothing, I try to look for interesting cuts, hemlines, textures, and whether adding an accessory can make it more stylish. I work in a profession where I have to dress in traditional conservative work attire so my choices reflect that. If you work in a profession like mine where you have to dress relatively conservatively as well, these pieces will be right up your alley! I'm envious of those of you who can wear more trendy clothing to work! All the pieces below are priced under the $80 mark. Love the picks here, especially #6! http://thatumamlilife.wordpress.com - a clean eating bento blog. Thanks Liz! I personally own the dress in #2 and I love it! They're both Zara!